Triangle Fire Systems have completed the contract for the design, supply, installation, testing and commissioning of the commercial fire sprinkler system to the new Newhaven and Hailsham Academy schools in East Sussex. Using modern methods of construction the new build schools were designed to allow for identical solutions. 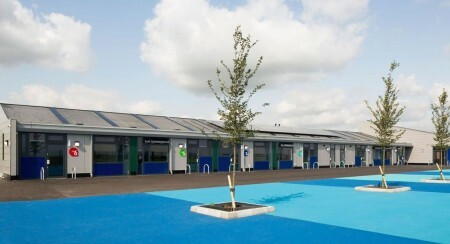 The school is made up of pods, manufactured by eco-modular buildings, in a high quality strictly controlled factory environment. Modular buildings are becoming increasingly popular due to their ability to offer a reliable, cost effective and quick building programme. 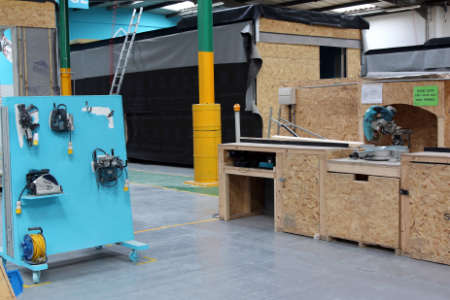 In this instance off-site manufacture reduced the construction period from 52 weeks to 32 weeks. The works for both schools comprise the installation of sprinkler protection to the school in line with BS EN 12845 and TB221 requirements. 6. Sprinkler protection to server room. Once the pods were delivered and in place on the Newhaven site our engineers were able to begin the install of providing sprinkler protection throughout the en tire school. The commercial sprinkler system was completed and commissioned at the end of August. 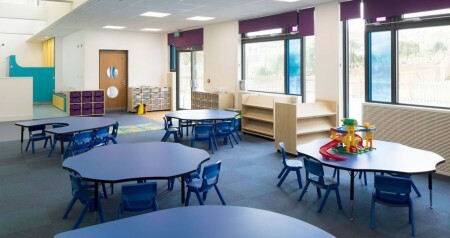 The school opened to pupils on 7th September 2015. Following completion at the Newhaven site we began work on the identical site at Hailsham.